The report shows that cancer survival rates in England are worse than in other countries due to late diagnosis, delayed treatment, and under-treatment in the older patient population. Age is considered an influential factor in delaying cancer diagnosis, and older cancer patients reportedly receive less evaluation by cancer specialists. When they do, they are oftentimes offered fewer treatment options as a result of “age bias”. 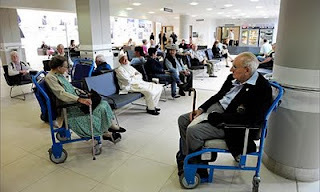 Is age bias reflective of the values system in England and of the National Health System, and thus, is it responsible for the disproportionate rate of deaths due to cancer among older persons? Perhaps it is not age bias alone driving the poor health outcomes of older cancer patients, but maybe patients are choosing not to receive screening and non-standard treatments and clinicians are choosing not to offer these healthcare options due to the high rate of comorbidities and low life expectancies within this patient population. The salient issue here is not whether older patients are receiving cancer screenings and treatment offered their younger counterparts, but whether they may actually benefit from these procedures. Would a frail 78-year-old woman with urinary incontinence and moderate cognitive impairment benefit from a mammography? Is age a discriminating factor associated with preventable deaths among older cancer patients? A 2001 U.S. retrospective observational study showed that among 216 older women (mean age of 81 years) receiving mammographies, only 2 (0.9%) may have benefited from the screening. 42% experienced pain or psychological distress as a result of the mammographies. A 2007 systematic review by researchers in Switzerland suggests that older cancer patients with breast or gynecologic cancers are often undertreated, the effect of which is decreased prognosis. Age and comorbidities were found to be determining factors for undertreatment in older patients, with reportedly few studies actually focusing on the health effects of undertreatment. A 2007 literature review from Italy looking at the correlation between colonoscopy and life expectancy found that although the rate of colorectal polyps detection in patients 80 and older was higher (29%) than the 50-54 (14%) and 74-79 (27%) age groups, life expectancy gain was smaller in the oldest age group (one and a half months compared to 10 months in the youngest age group). A 2008 observational study from Spain found that among older patients with non-small cell lung cancer co-morbid conditions was more important than age in influencing treatment options. After reading these articles and several others of similar topic, the resounding bottom line seems to be that it is more important to focus on individualized geriatrics care than to generally promote screenings and non-standard treatments for older cancer patients. Findings from the King’s Fund cancer report will serve to galvanize the British government to improve geriatrics care, especially as it pertains to cancer screening and treatment for older persons. However, the question remains, will these efforts to endorse cancer screening and treatment among older persons outweigh the negative effects in practice?